ALBANY, GA (WALB) - Southwest Georgia has seen numerous tragedies brought on by severe weather. 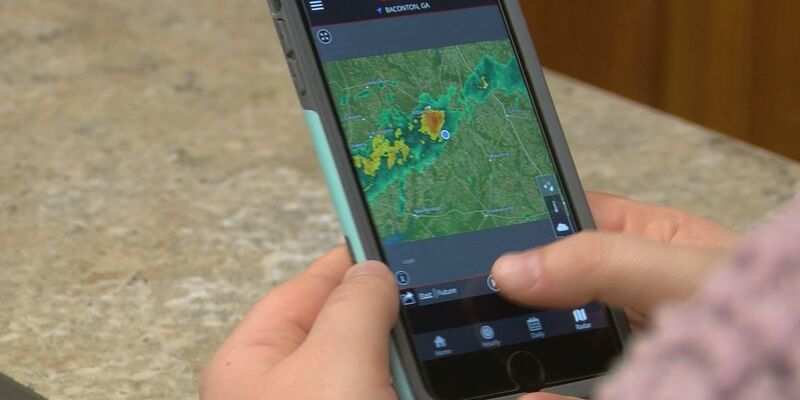 Lynn Farmer, a lifelong WALB viewer, said owning her own business keeps her away from home so having the WALB weather app is something she has always relied on. “To be able to go and see that immediately that can help you know, do I need to go get in my car and go home, should I go get in the closet if I am not at home watching TV,” Farmer said. Madison Brown, a Mitchell County resident, has also called WALB News 10 her No. 1 source for news her entire life. Brown drives to Albany every day for work, so she is always checking the app. Brown said she encourages everyone in Southwest Georgia to download the WALB weather app because the weather is unpredictable. “It is just very unpredictable and if you are not aware at the time, then you will not be prepared, so if you have something so quick for information you will be really ready to take on what is coming,” she added. Farmer said although lifelong Southwest Georgia residents have seen their share of tragedy over the years, she would not want to live anywhere else.